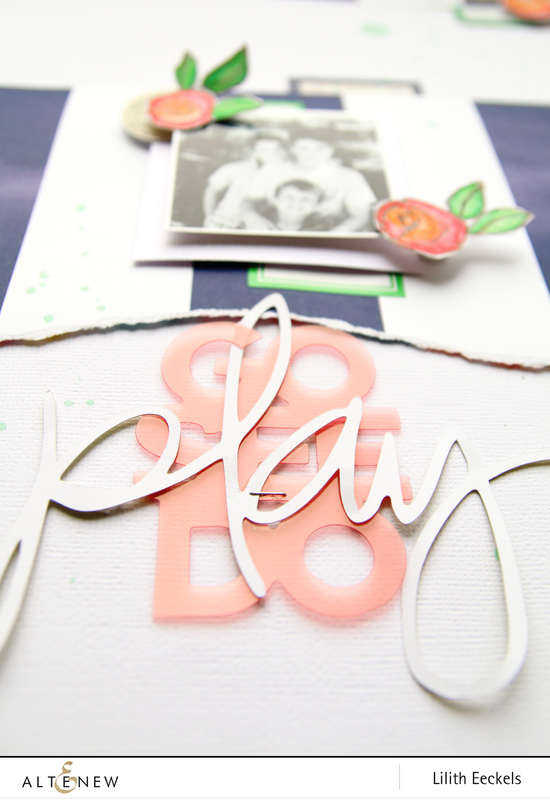 It’s has been such a fun weekend seeing all the projects with the new stamp releases. Today I wanted to showcase the Bamboo Rose set. It can be used just with the outline but I wanted to color the images. I would usually use watercolors or water down the Altenew inks but I had some watercolor pencils laying around and I thought it would be nice to use those. 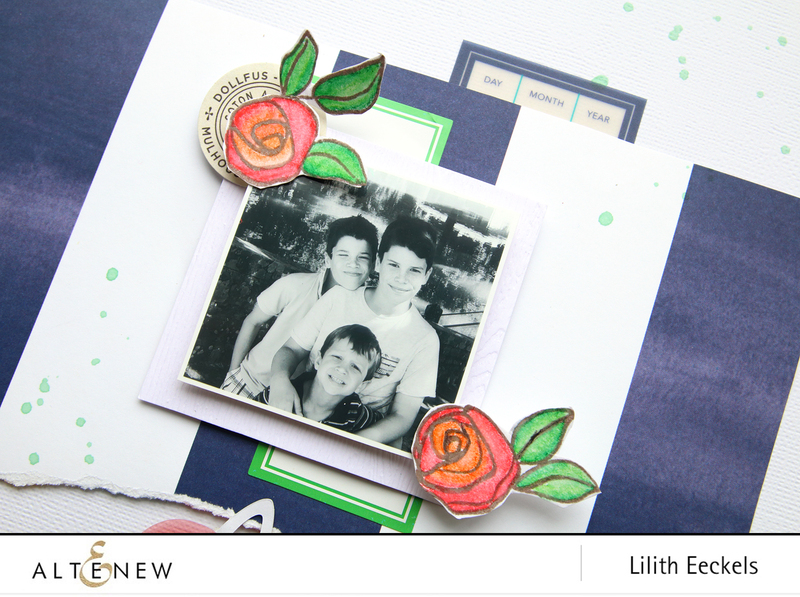 In the video you can see how I created my flower embellishments with the stamp set Bamboo Rose. I used the Moon Rock Crisp ink to stamp the outline. The layout itself is based on a simple design I use a lot with a centered piece of patterned paper which I tore at the bottom to add detail and then I layered my other elements on top of that. I created a repetition on top part and placed my title below. The ink splatters create flow and add a hint of green which breaks down the dark blue. Thank you so much for watching and happy scrapping. I really enjoy watching your videos Lilith! 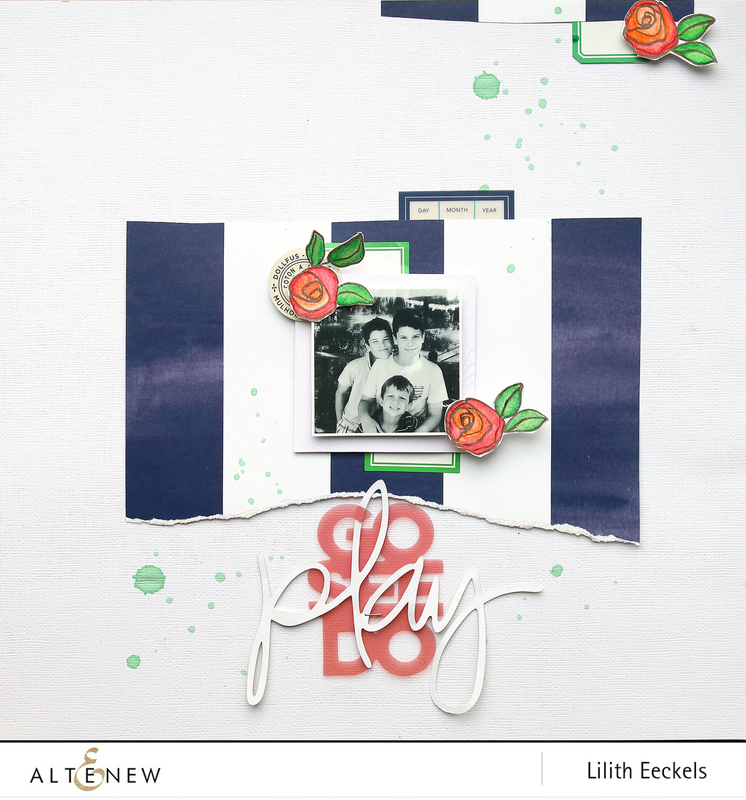 I just love everything about this layout – the bold blue stripe paper; torn at the bottom; and the stamped images of roses used with boys – and it looks FANTASTIC.